Mike Bonte had been given the task of training Ian... he was having difficulty running a smooth board. For several late night shifts, WPSC-FM operated "WABC Style". Bonte stood on the opposite side of the board in the 900s and Ian ran the board for portions of the shift. 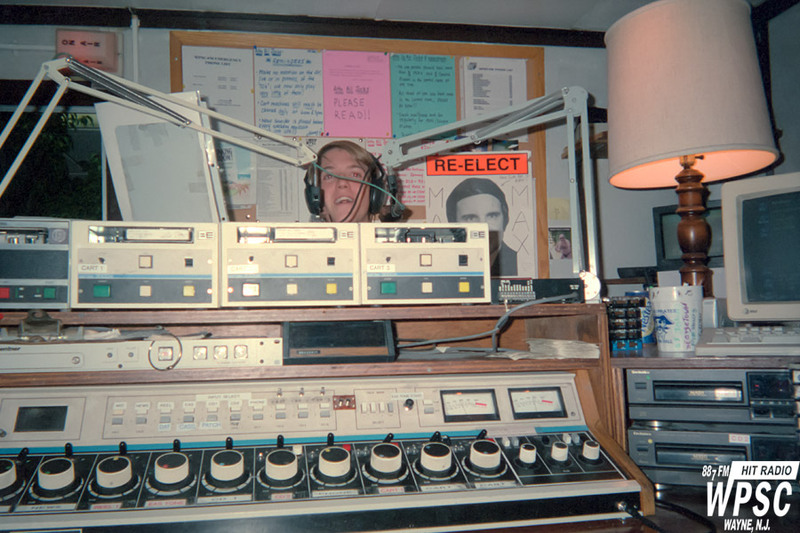 This was an unusual setup for WPSC-FM at the time, it's noteworthy that pictures of this exist. This was Ian's view from the board during one of Bonte's segues. Ultimately Ian's board operation skills improved, but he never graduated from training to having his own shift.